Miranda approached me as a British teacher working and living 100km north of Cape Town, SA. 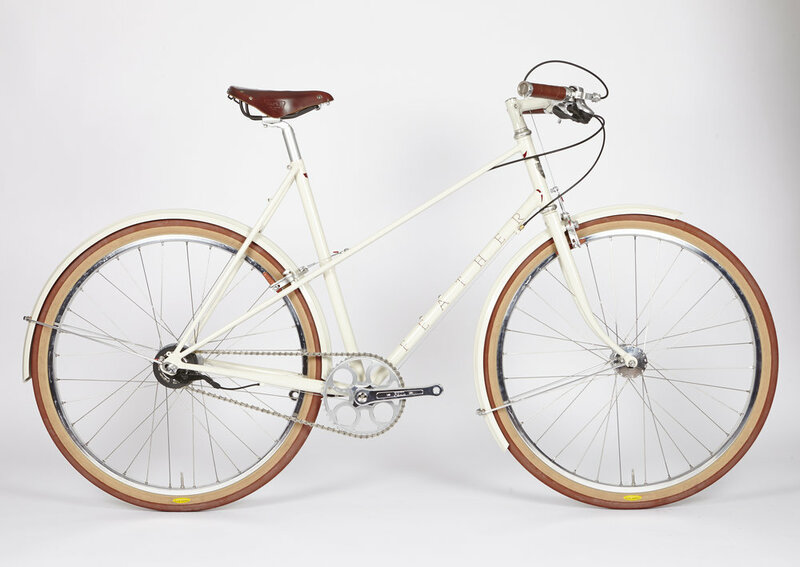 She wanted a bike that would really suit her; a bike that had a classic look and a step through style frame with unique features and the capability of taking on some of the more rugged dirt roads that were a part of her daily cycling routine. 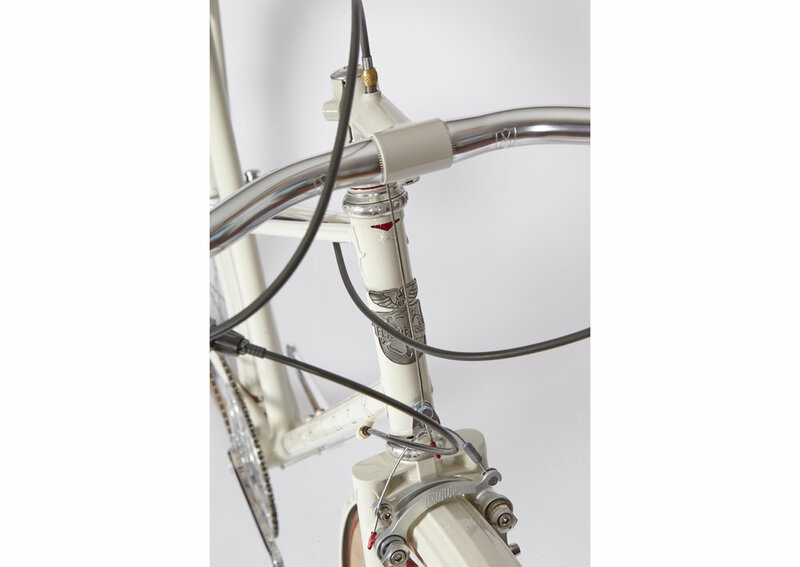 When she first came along with the idea of the step through frame, my brain went into overdrive as I had recently acquired some really quite rare mixte parts from the garage of the late Charlie Betteley of Lynx Cycles in Staffordshire. 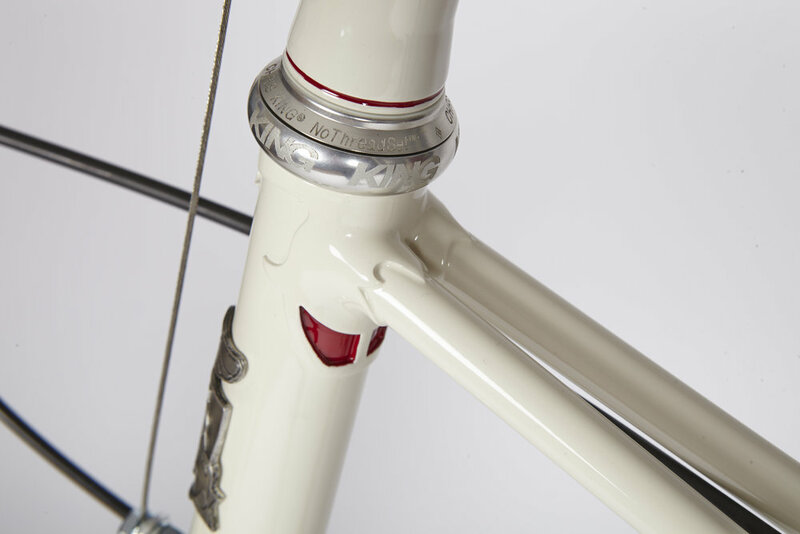 This included lugs and some original Reynolds 531 headtube -to-rear dropout tubes. I had been dying for a job to come along where I could use these and this was the perfect opportunity! 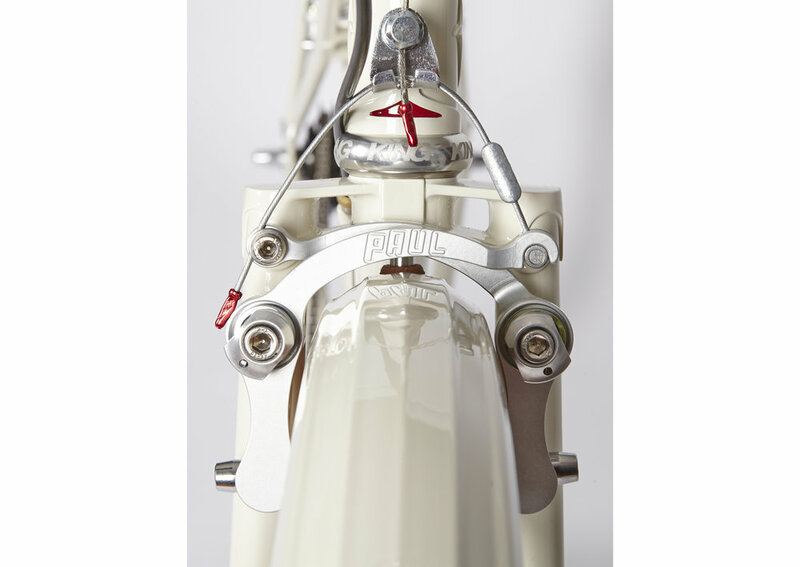 I just couldn’t help myself when it came to modifying the lugs; they were fun and vintage looking, but I knew they could be refined. A little reshaping and a few windows cut out and they just looked so much more ‘21st century’. 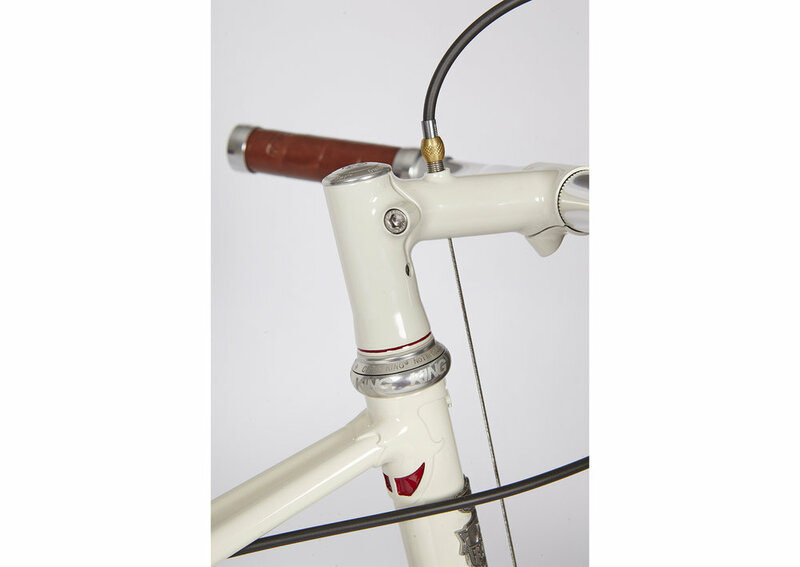 Other custom features include a handmade stem with integrated centre-pull cable routing, direct mounted centre-pull brakes, and a rear mounted on mixte stays instead of the more usual seat stay. This keeps the lines of the bike super clean. 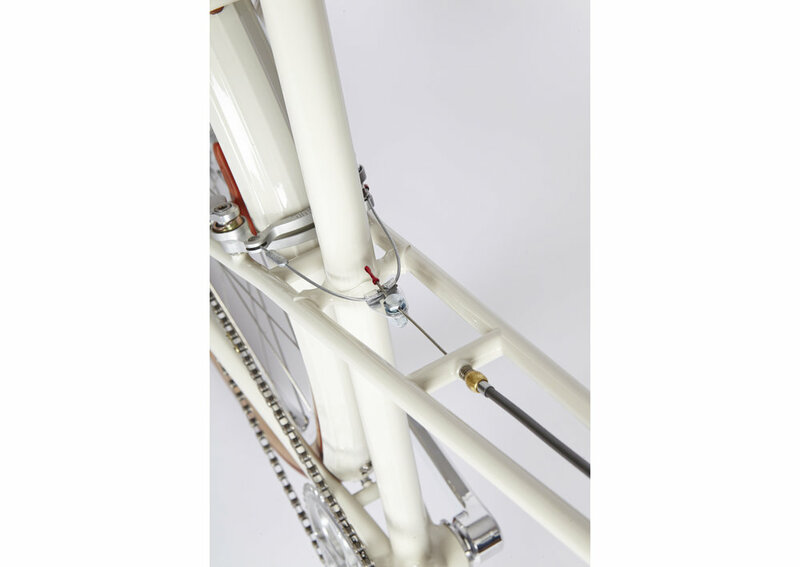 One of the main requirements of this bike build was that it needed to be practical. The tyre widths needed to help with absorbance on the rough roads of the South African countryside, some of which are unpaved. It also needed to have mechanical components as Miranda lived in an area where it wouldn’t necessarily be easy to have any over-complicated parts repaired. Instead of having mudguards to keep the dirt and rain water from spraying up her back, Miranda required them to help prevent being covered in dust when she arrived at work. On top of this, the bike needed gears as it wasn’t exactly flat where she lived. 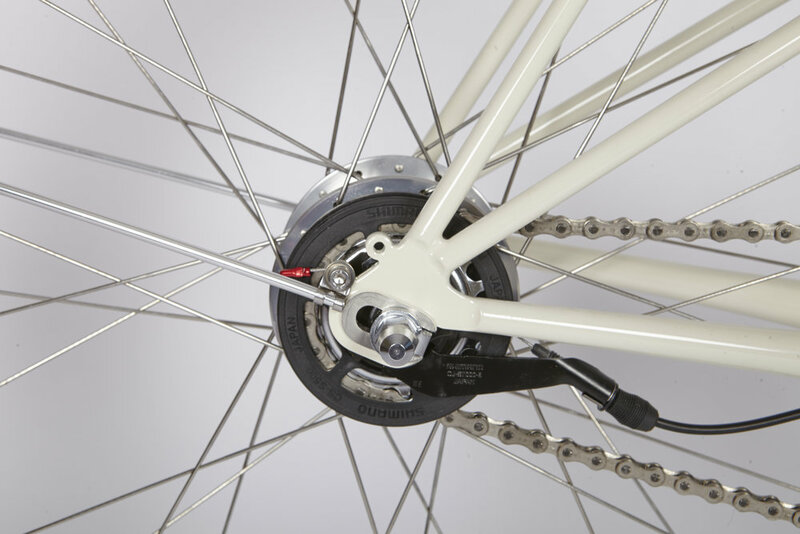 To maintain simplicity and practicality, we decided to go with a hub gear allowing for a single nice strong chain to slim down the chance of mechanicals when out on the road.